Today's the day -- the new Dox short story, THE KHMER KILL, is available now! For former Marine sniper Dox, a long-range hit in Cambodia was supposed to be just business as usual. But when you find yourself mixed up with rogue intelligence operations, gorgeous bar girls, and the world's worst human-trafficking heart of darkness, business is anything but usual. And making it personal is the most dangerous business of all. THE KHMER KILL is published by Thomas & Mercer, the good people who brought you THE DETACHMENT, and so will be available exclusively through the Kindle Store. It's not DRM encumbered, so owners of Nooks and other non-Kindle digital readers, fear not -- you can read it on your device of choice. Sadly, there won't be a paper version (at least until I've written enough short stories to do an anthology) because there's no cost-effective way to distribute a short story in paper. And here are some photos of locations in the novel taken by your intrepid correspondent. Enjoy -- and thanks for reading the stories. 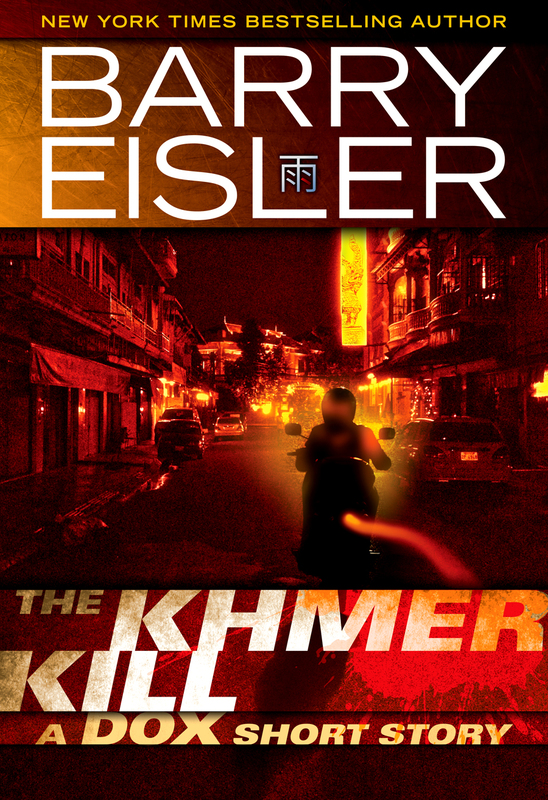 Hi all, I have some exciting news about the new Dox short story, The Khmer Kill. The good people of Amazon's Thomas & Mercer imprint (publishers of my novel The Detachment) read TKK, loved it, and want to publish it. Hence the slight delay in its appearance -- I had hoped to have it up earlier this week, but now there's a bit of paperwork that needs to be sorted out, so the story won't be available until a week from today -- Thursday, May 31. But that's not too far off, and worth the wait because as T&M demonstrated with their marketing efforts for The Detachment, they can help my stories reach a far larger audience than I could reach on my own. The Khmer Kill won't be available in paper because alas, there's no cost-effective way to distribute a short story in paper. And although it will be a Kindle Store exclusive, it won't be DRM encumbered, so owners of Nooks and other non-Kindle digital readers, fear not -- you'll be able to read it on your device of choice. More information on such matters here. Thanks for your patience and I hope when you see Dox in action in Cambodia you'll agree it was worth the wait! A few years back, I started donating my speaking honoraria to organizations I support -- the ACLU, various independent news groups, the Occupy Movement. I just gave my latest, $2000, to the Somaly Mam Foundation, dedicated to rescuing children from sexual slavery. Please do what you can to support this vital organization, and I recommend Somaly's heart-wrenching book, too, The Road of Lost Innocence.